Dependant on the current level of the network to be monitored it is necessary to use a CBCT that can give the correct mA output for the primary current. 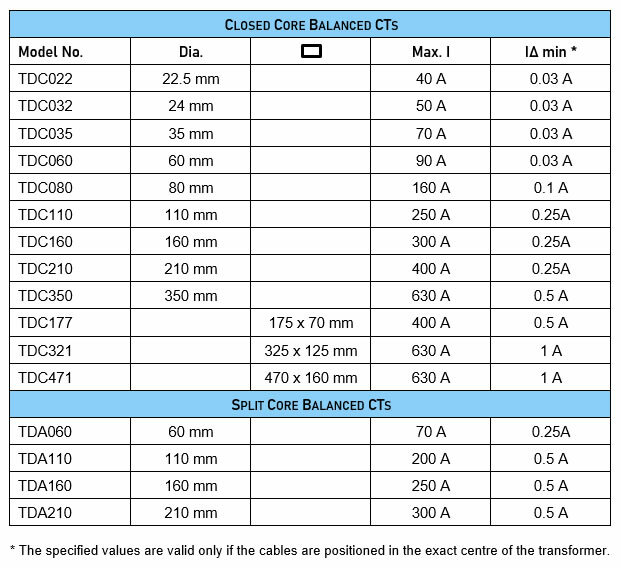 This is defined by the turns ratio and the size of the cable. Please refer to the table below that shows the primary current in ratio to the sensitivity level for the output to the tripping device. This is for use with Frer earth leakage relays only.